With thanks to fellow Honno author,Juliet, for hosting me today. 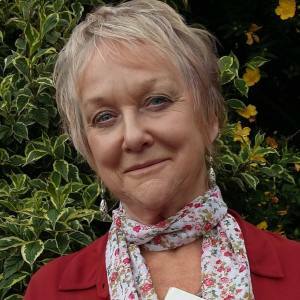 Today I’m delighted to welcome fellow Honno Press author, Judith Barrow, to the blog. I’ve long been a fan of Judith’s brilliant historical family sagas, the ‘Patterns’ trilogy, which follows the story of the Howarth family. 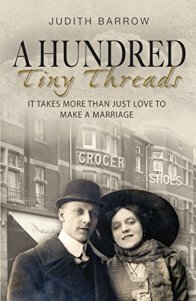 So it’s great to be part of the blog tour for Judith’s latest saga, ‘One Hundred Tiny threads’. Hello Judith, and welcome to the blog. ‘One Hundred Tiny Threads’ is a gripping prequel to your ‘Patterns’ trilogy that sets the scene for the stories that go down the generations. What drew you to write a prequel? Was it to delve further into the background of your characters, or was it the time in which ‘100 Tiny Threads’ is set?